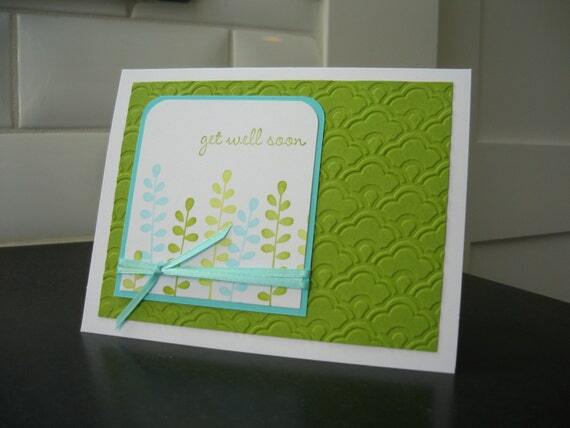 Make someone feel better with this sweet handstamped get well card. 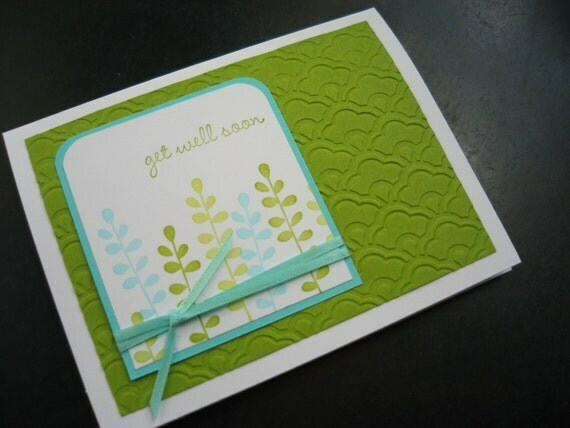 Front: card is on white cardstock. 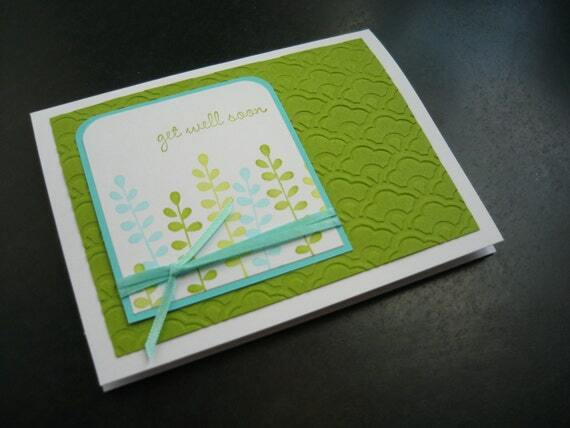 A piece of green paper has been embossed and adhered to the card. Some wildflowers have been stamped in green and aqua on a white mat. 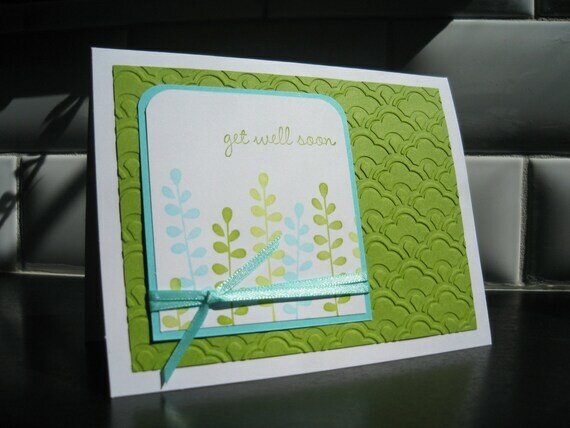 "Get well soon" has been stamped in aqua. Inside: card is blank and white. On the back: there's one image-- a "Handstamped by......" stamp. Card measures 4.25 X 5.5 inches and comes with a white envelope. All my cards are made by me (with lots of love and attention to detail) in a smoke free environment on acid and lignin free materials.